New music Friday just got a lot more exciting for Frozen fans! As previously announced, the Disney musical will feature both beloved songs from the animated film as well as new tunes from Oscar-winning songwriting team Kristen Anderson-Lopez and Robert Lopez. Here's how to start your obsession with the new ones super soon: four brand new songs written for the Broadway production will be released on consecutive Fridays beginning on February 23, the day after Frozen’s first Broadway performance at the St. James Theatre. The four new songs include “Monster,” a new Act Two solo for Elsa, “What Do You Know About Love?,” a new duet for Anna and Kristoff, “Dangerous to Dream,” a new number sung by Elsa and “True Love,” a new Act Two solo for Anna. 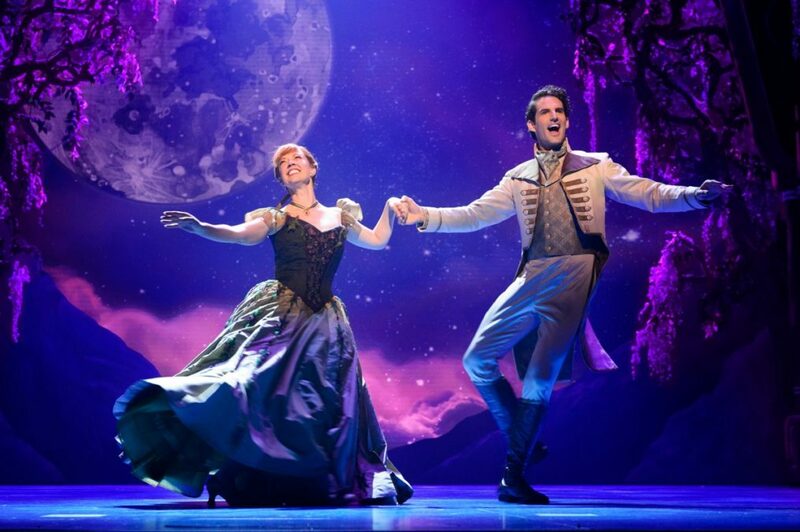 The songs will be recorded by the Broadway cast, featuring Caissie Levy, Patti Murin and Jelani Aladdin, and they will be available at FrozenTheMusical.com and wherever music is sold or streamed. Get those earbuds ready! Disney's new musical Frozen had its world premiere at the Denver Center for the Performing Arts' Buell Theatre last year. The upcoming Broadway production will officially open on March 22, 2018.